We are excited to announce the release of our very own App. 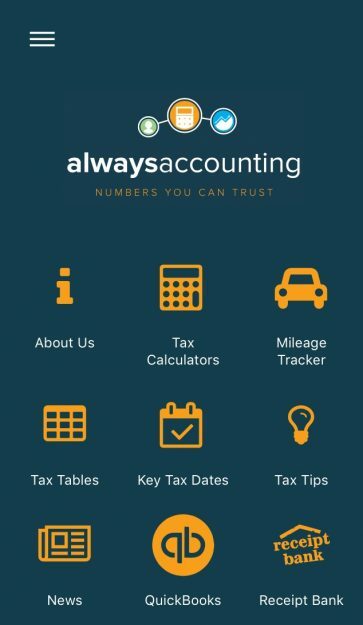 Go ahead and download it by searching Always Accounting on the App Store or Play Store. There are tax calculators, tax tables, key tax dates, tax tips and a handy mileage tracker. And if you are a QuickBooks or Receipt Bank customer there is a link to them too!